Meeting Minutes – May 2017 | F.F.A.M. President Kenneth Hoover opened the 63rd Annual FFAM Convention by ringing the bell on Friday, April 21, 2017, at the Mathewson Exhibition Center in Sedalia, Missouri. The Honor Guard posted the colors and President Hoover led the Pledge of Allegiance. District 2 Director Greg Wright gave the invocation. Convention Chairman Larry Jennings welcomed attendees to the convention. President Hoover introduced Sedalia Mayor Steven Galligher who thanked everyone for attending the convention and for their service to their communities. President Hoover welcomed all attendees to the convention and recognized the dignitaries in attendance. Past President Keith Smith presented the Nominating Committee slate for the 2017 FFAM officer elections. Positions for election are President, 1st Vice President, 2nd Vice President, Secretary-Treasurer, Sergeant-At-Arms, District 1 Director, District 3 Director, District 7 Director, District 11 Director and District 14 Director. The following individuals are seeking election for those respective positions: Kenneth Hoover, President; Larry Jennings, 1st Vice President; Grant Oetting, 2nd Vice President; Jaime Miller, Secretary-Treasurer; Rex Reynolds, Sergeant-At-Arms; Terry Wynne, District 1 Director; Larry Jones, District 3 Director; Robert Brown, District 7 Director; Monty Thompson, District 11 Director; Rick Dozier, District 14 Director. Convention Chairman Larry Jennings conducted the raffle drawing for those who participated in the 50/50 raffle. President Hoover closed the opening session at 7:35 p.m.
District 2 Director Greg Wright gave the invocation followed by the meal. Head table and special guest introductions by President Ken Hoover. Keynote Speaker Dan Meers, KC Wolf, gave a motivational speech about faith, family and friends and challenged all to live a life to be proud of. Contest Committee Chair Rob Erdel announced the 2017 convention contest winners. 2 Person Hose Coupling: 1st Little Dixie #1; 2nd Madison West Monroe #1; 3rd Southern Stone #1. Replace a Section of Hose: 1st Little Dixie #2; 2nd Madison West Monroe #1; 3rd Little Dixie #1. Extending a Line: 1st Little Dixie #1; 2nd Cole County #1; 3rd Southern Stone #1. Water Barrel Fight: 1st Little Dixie #1; 2nd Cole County #2; 3rd Galt #1. Bucket Brigade: 1st Madison West Monroe #1; 2nd Cole County #1; 3rd Little Dixie #1. Overall: Little Dixie #1. Jennifer Smith shared a story and presented Jessica Miller with the Auxiliary Member of the Year award with assistance from Auxiliary President Diane Hanes. Scholarship Committee Chair Grant Oetting along with committee member Terry Plumb presented the 2017 scholarship recipients. Continuing Education: Shelby Phifer, Southern Stone FPD. High School: Cameron Lauber, Johnson County FPD #2; Maddison Breid, Madison West Monroe FPD; Kayla Littrell, Duenweg Vol FD; Cole Allen, Duenweg Volunteer FD. Fire Prevention Committee Chair RB Brown announced the 2017 poster contest award winners. 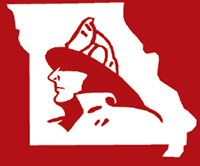 President Kenneth Hoover called the meeting of the Board of Directors of the Fire Fighters Association of Missouri to order at 9:00 a.m. Sunday, April 23, 2017, at the Lowell Mohler Assembly Hall, Sedalia, Missouri. District 1 Terry Wynne, Galt FPD; District 2 Greg Wright, Shelbina FD; District 4 Joe Vaughn, Pleasant Hill FPD; District 5 Terry Plumb, Southern Stone FPD; District 6 Gary Berendzen, Cole County FPD; District 7 RB Brown, Eureka FD; District 9 Roy Sims, West Plains FD; District 11 Monty Thompson, Kearney FPD; District 14 Rick Dozier, Southern FPD of Holt Co.
District 1 Janet Cain, Braymer FR; District 3 Rob Erdel, Little Dixie FPD; District 3 Steve Gentry, Little Dixie FPD; District 4 Jonathan Evans, Lincoln FD; District 5 Shelby Phifer, Southern Stone FPD; District 9 Kurt Wilbanks, West Plains FD; District 10 Greg Brown, Eureka FPD; District 11 Ryan Miller, Norborne FPD; District 11 Roger Meyers, Concordia FPD; District 14 Glenn Dittmar, South Central Buchanan County FD. Tim Bean, Missouri Division of Fire Safety; David Hedrick, Gail Hagans, MU FRTI; Joe Jennings, Larry Jennings, Dee Bennett, Johnson County FPD; Donald Vaucher, Harriett Vaucher, Eureka FPD; Duane Miller, Versailles FD; Brian Zinanni, Clayton FD; Donnie Braun, Gary Smith, Cole County FPD;; Don Hahne, Washington FD; Ronnie Fields, Cy Fields, Paris Rural FPD; Kurt Ploch, Andrew Caldwell, Jim Casey, Sidney Casey, Boles FPD; Charlie Peel, SE Randolph FPD; Billy Smith, North Central Carroll FPD; Doc Kritzer, Firefighters Memorial Board; Brayden Miller, Jonny Miller, Norborne FD; Grant Oetting, Higginsville FPD; Chris Thompson, Logan Mccubbin, Holts Summit FPD; Gordon Ekedahl, Anthony Koonte, Chase Barnes, Madison West Monroe FPD; Rob Schrage, Jefferson R-7 FPD; Josh Koepke, Nicole Sohr, Kansas City FD; Kipp Brost, Hardin FPD; Emily Misel, Jeff Misel, Travis Worley, Cowgill FD; Erik Jackson, Hunter Hanes, Brian Smiley, Galt FD; Dustin Tinker, Jared Jackson, Little Dixie FPD; David Miller, Johnson County FPD#2; Amy Supple, David Wright, Chillicothe FD; Kyle Arnold, Wood Heights FD; Dylan Honea, Southern Stone FPD; Emilie Ploch, Forest City FD; Scott Olson, Alma FPD; Sven Gunderson, Union Pacific Railroad. President Hoover asked for corrections or additions to the May 2016 convention board meeting minutes. Roy Sims moved to accept the minutes as presented. Charlie Neubert seconded the motion and all approved. President Hoover asked for corrections or additions to the January 29, 2017 board meeting minutes. Rick Dozier moved to accept the minutes as presented. Greg Wright seconded the motion and all approved. President Hoover asked for a review of the January – March 2017 financial reports. Charlie Neubert moved to accept the financial report as presented. RB Brown seconded the motion and all approved. Director David Hedrick with MU FRTI expressed appreciation to the Missouri State Fair Fire Department and the FFAM for hosting the convention and congratulations to all award winners. MU FRTI fiscal year ends June 30. Over 500 classes have been taught or scheduled by the fiscal year end. A grant was received from State Farm Insurance for funding for highway response training. Contact your regional coordinator if you would like to schedule a training. The 15th Fire Service leadership Enhancement Program class also just finished. A state-wide training survey was sent out on behalf of the advisory council. Half of the departments in the state participated. The council is reviewing the data to establish a list of what the training needs are throughout the state. 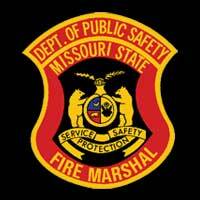 Summer Fire School will be held June 7-11, in Jefferson City. Registrations now being accepted and everyone is encouraged to attend and show their support for the program. Firefighter Day at the Capitol was April 5, in Jefferson City. There were many attendees and good participation in the day’s events. It is budget time for the state and the institute. MU FRTI will have some cuts out of the general operations funding however, the training funds through the state still look good so far in the legislation. State Fire Marshal Tim Bean with the Division of Fire Safety expressed his thanks to the FFAM for allowing him to serve many years in the Association and on the Board. He spoke to the attendees that we have a large voice in the legislation right now with the current administration and we as firefighters and emergency responders need to continue to do great work in the field. He encouraged everyone to take time to meet with your area representatives as they are your voice when it comes to legislation. He also thanked everyone who attended Firefighter Day at the Capitol. He advised he is working on several goals for the Division. They are working on a firefighter standard/certification and they would like to see legislation on setting standards for a firefighters in Missouri. The Division is trying to educate departments and bring awareness to the dangers of firefighter cancer and exposures caused by turn-out gear. Health and safety is a large area that they are also focusing on as heart attacks are the number one cause of death in the fire service. He encourages all departments took look at their personnel’s health and safety. They are trying to provide regional testing again and asks that any department that is interested in being a regional testing site, to contact the division. Two AFG grants have been received in 2015 and 2016 for the purchase of more specialized technical rescue training and equipment and they are working with MU FRTI to get the training in rural communities. SEMA has sent out mutual aid requests in an effort to get resources lined up ahead of time so in the event of a disaster, they are ready and have resources at hand. Bean expressed that the Division is here to serve the firefighters in the state. He encourages everyone to stay in contact with him and to contact him or the Division for anything they can do. Discussion was held on storage for the historian. Doc Kritzer has advised that the 300 square feet room in the basement of Kingdom City’s, City Hall is now completed. They will begin working on moving items out of Kay Asher’s basement in the near future. President Hoover thanked Doc for his help and time in the project. President Hoover advised that he has been working with the State Fair Director regarding the mold issue as the State Fair Fire Station. Discussion followed. The roof will be replaced prior to the fair at a cost of $108,000. Removal of the insulation and mold will also be addressed at the time of the replacement of the roof. Thanks to those who contacted their state representatives. Discussion was held on the book proposal presented by Bill Westhoff in January. 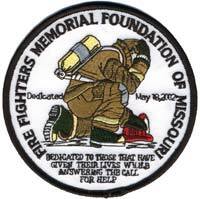 The book, A Tribute to the Missouri Fire Service would be published by November/December. As this was not a budgeted item, President Hoover advised the funding would need to come from the reserve funds and the FFAM would re-coop all of its costs prior to any proceeds being donated to the museum. Terry Wynne moved to accept the proposal presented by Bill Westhoff for the publication of 750 books with the funding to come from the reserve funds. Greg Brown seconded the motion. Discussion followed. Terry Wynne then moved to amend his original motion by adding to make the publication available in an e-book format. Greg Brown seconded the motion and all approved. Sergeant-at-Arms Reynolds conducted a roll call of the delegates. There were 62 delegates present. Secretary Miller presented a dues increase proposal that was approved by the Board of Directors in January for presentation to the delegates at the convention business meeting. The proposal would increase active member dues to $10 with $3 going to the museum foundation, increase the department only dues to $150 and increase the department with individual members’ dues to $50. The proposal also included additional benefits to members including an equipment grant, MU FRTI Winter Fire School scholarship and fire loss benefits. Discussion followed. A closed ballot count was taken. Sergeant-at-Arms Reynolds advised that the proposal needed a 2/3 majority to pass. There were 58 yes votes and 4 no votes. The dues increase proposal passed. Kevin Dusheke, District Sales Coordinator with Aflac, presented a proposal to offer Aflac benefits to FFAM members which would allow members the group discounted rate. The benefits would be of no cost to FFAM and all plan premiums would be handled on an individual basis by the members who elect to purchase the plans. Discussion followed. The Board advised they would table the topic until the next meeting to allow them time to review the proposal. Keith Smith reported that ten positions are up for election. The nominations are Kenneth Hoover, President; Larry Jennings, 1st Vice President; Grant Oetting, 2nd Vice President; Jaime Miller, Secretary-Treasurer; Rex Reynolds, Sergeant-At-Arms; Terry Wynne, District 1 Director; Larry Jones, District 3 Director; Robert Brown, District 7 Director; Monty Thompson, District 11 Director; Rick Dozier, District 14 Director. Jeff Misel moved to elect by acclamation Kenneth Hoover, President; Larry Jennings, 1st Vice President; Grant Oetting, 2nd Vice President; Jaime Miller, Secretary-Treasurer; Rex Reynolds, Sergeant-At-Arms. Joe Vaughn seconded the motion. The motion was approved with no opposing votes. Cy Fields moved to elect by acclamation Terry Wynne, District 1 Director; Larry Jones, District 3 Director; Robert Brown, District 7 Director; Monty Thompson, District 11 Director; Rick Dozier, District 14 Director. Roger Meyers seconded the motion. The motion was approved with no opposing votes. Larry Jennings advised that nominations are due by February 28, 2018, and can be submitted at any time throughout the year. 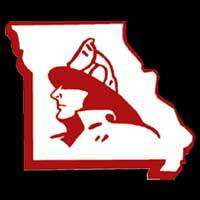 David Hedrick reported that Missouri Fire Chaplain Corp annual meeting/training will be on May 1-2, 2017 in Arnold, Missouri. Chillicothe Fire Department Chief Darrel Wright and a representative from the Chillicothe Visitors Bureau presented a proposal to the delegates to host the 2018 convention in Chillicothe. Discussion followed. Charlie Neubert moved that the 2018 FFAM Convention be held in Chillicothe. Tim Bean seconded the motion and all approved. 2017 Convention Chairman Larry Jennings thanked the committee for their work and time on the convention. More than 300 attended the banquet. Three training opportunities scheduled for Friday were cancelled due to low enrollment so he encouraged everyone to attend in the future to help make those opportunities more successful. Rick Dozier reported that 32 attended the Certified Fire and Ambulance District Board of Directors training held on Friday. Get any class proposal ideas to him. Greg Brown reported that the state budget is being finalized. Firefighter training funding is still approximately $900,000. The Senate Committee approved the full $1M needed in the workers compensation line for volunteer firefighters. Prescription drug monitoring legislation is in the works which is likely to pass after several amendments. HB334 is also moving through legislation which deals with PSAP reduction and 9-1-1 programs for counties without basic 9-1-1. There has been clean-up language for SB66 regarding LODD. See his weekly legislative reports for more detailed information. Charlie Neubert reported the following membership counts: 422 Directors/Councilman; 262 Retired; 12 Associate; 10 Sustaining; 16 Corporate, 328 Departments; 6087 Active; 10 Educational; 42 Juniors. Keith Smith reported that due to several other issues going on in the legislation that would most likely overshadow firefighter issues and lack of representatives available for contact, he elected not attend the spring NVFC conference in Washington DC. Grant Oetting thanked those who submitted applications. Monty Thompson reported that the fair will be August 10-20, 2017. Applications are due by May 1, 2017. 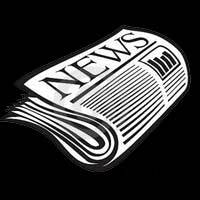 The deadline for the next newsletter will be April 28, 2017. All convention articles and pictures are due that day. Secretary Miller emphasized the need to get articles in by the deadline as there is a quick turnaround time for the production of the upcoming issue. Bill Westhoff thanked those who work on the newsletter. He receives several newsletters from surrounding states and the FFAM newsletter is top notch compared to our neighbors. Harriett Vaucher advised there would be a golf tournament fund raiser for the team and the NFFF on June 26 at Old Hickory in St. Peters. Brian Zinanni thanked everyone for their continued support of the team. The team has now also gone to Iowa twice for assistance as they don’t have their own. Keith Smith reported the annual memorial service is May 20, at 9:00 p.m. and May 21, at 10:30 a.m., in Kingdom City. The guest speaker on Sunday is Brian Zinanni. There are 36 non-LODD and 4 LODD to be recognized. The Foundation is also moving forward with a new proposal for the museum. He will have more information available at the next meeting. 1st Vice President Tim Bean read and presented Larry Jennings and Missouri State Fair Fire Department with a resolution on behalf of the FFAM for hosting the annual convention. Tim Bean moved to adjourn the meeting. Charlie Neubert seconded the motion and all approved. President Hoover adjourned the meeting at 11:52 a.m.